Water features add sound, texture, and movement to your landscape. They add a natural and unique element to any garden. A functional and eye-pleasing landscape consists of several different elements working harmoniously together. 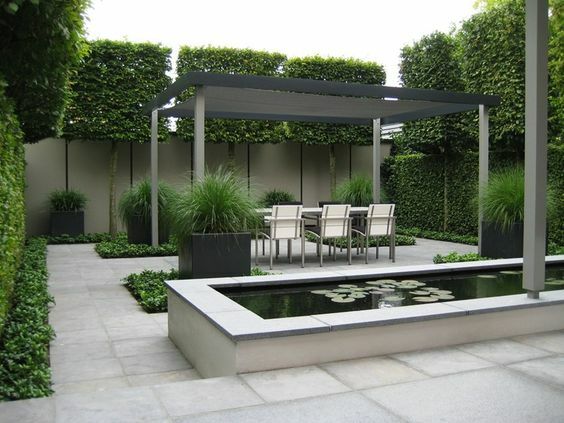 One landscaping element that greatly contributes to the overall beauty of a design is water. Including water features in your landscaping brings the sounds of nature to your doorstep. The stressful day can melt away as you listen to the cascading water washing away your workday cares. They will attract natural wildlife enhancing your local ecosystem. If you wish to have fish in your water feature a Bio Filter will be installed to remove all ammonia and nitrites. Water plants also add a great texture and help with filtration. Your yard will become a haven for wildlife such as Birds and dragonflies. We custom build water features to fit any space. Often, the most awkward spaces are the best places to put water features; you can turn a wasted space area into a beautiful focal point.